Akhisar is a county and its town center located in Aegean (Western Anatolia) region in modern Turkey. In terms of both population and land area, it is one of the larger counties in its region. With archaeological findings proving settlements going back to 3000 BCE, Akhisar has been a busy trade center with its strategic location at the intersection of important roads during ancient and medieval ages. It was probably one of the cities where printed money was first used. 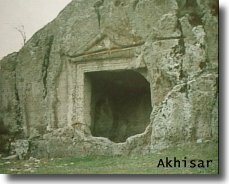 Akhisar also hosted one of the Seven Churches of Revelation (Thyateira or Thyatira). The name of the city is mentioned in the Bible. Akhisar maintained its importance as a regional trade center during many centuries of Ottoman Turkish Empire. Today's Akhisar is still the trade and business center in its region. Akhisar's name is almost a synonym to quality olives and olive oil. The fertile Akhisar plain used to produce about 10% of total Turkish tobacco production. However, tobacco has significantly declined and lost its importance in county economy in the last couple of decades. The town was the most important center in the North ancient Lydia. Findings suggest a period with possible Hittite preeminence. Persian occupation took place around 500 BCE and later, Thyateira was conquered by Alexander the Great and went under Macedonian rule at around 300 BCE. In later years, Thyateira was captured by Seleucids, Kingdom of Pergamum and Pontos, until Roman Era starting at 80 BCE. Roman emperor Caracalla announced the town to be a regional and administrative center with the power of adjudication (conventus) in 214 CE. The city flourished in Roman Era and became a large metropol with 3 gymnasions. After the partition of Roman Empire in 395 CE, the Eastern part was renamed as Byzantine Empire. Arabic raids to Anatolia to spread Islam resulted in great land loss for Byzantium. Akhisar plain witnessed many battles during the Crusades. In 1st and 2nd centuries CE, Christianity was spreading in Western Anatolia by the help and leadership of apostles like St. Jean and St. Paul. One of the Seven Churches in Asia Minor was in Thyatira, which appears twice in the Bible, (Revelation to John 2:18-29, Acts 16:14). 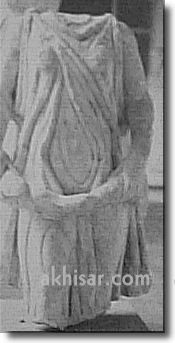 First, in one letter to the Seven Churches in Asia Minor, St. Jean mentions a Thyatiran woman, Jezebel, who fought against Christianity, and secondly, another Thyatiran woman by the name Lydia, who helped St. Paul is mentioned. Turkish tribes from Central Asia had been finding their way to Asia Minor in 8th century CE. However, in 1100s CE, a large-scale Turkish inflow started. Akhisar continuously went back and forth between Byzantine and Turkish rule during this century. In 1200s CE, Akhisar was within the boundaries of Byzantine state. Meanwhile, Anatolian Turks were threatened by Mongolian raids from the East. Turks got through Mongols and then started mounting endless attacks on Byzantine. In 1300s CE, Turkish captured all of Western Anatolia and Akhisar went under Turkish rule in 1307 CE. In subsequent years, a small Ottoman State (Osmanli Beyligi) had transitioned to be the great Ottoman Empire extending from today's Germany to India and Morocco. In Ottoman administration, Akhisar was a county in Saruhan Sanjak of Kutahya State. 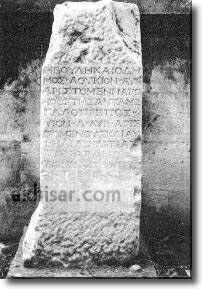 Later, Saruhan Sanjak had become a part of Aydin State until 1922 CE. In ancient times, Thyatira was an important center of activity. It was on the ancient roads from Istanbul to Pergamum, Sardeis and Ephesus. Thyatira was at the center of a region with many small towns and villages administratively and politically bound to itself. Cloth and pottery trade was the main activity in town. Production of wool, linen, brass goods and tanning were other commercial activities. The city remained as a center of trade activity for centuries. Akhisar's cloth and cords were well-known in Istanbul markets. Among the other agricultural merchandise were olives, olive oil, watermelons, grapes and raisins. Tanning was also an important economic activity in town. This high level of economic activity was making Akhisar the most important county in Saruhan Sanjak. 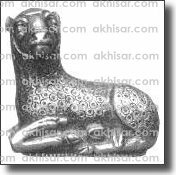 The earliest records about Akhisar in the Ottoman documents date back to 1500's CE. Those records tell us that Akhisar was a county center paying 40% more income tax than the capital city of Saruhan Sanjak. At the end of 19th century CE, the downtown population had reached 30,000. After the declaration of Turkish Republic in 1923 CE, Akhisar has continued its development. Many modern avenues, streets were constructed. In later years. The development continued with a stadium, grass soccer field, many parks and recreational areas throughout the city. Many banks, shops and touristic hotels are now lined up along the busy Tahir Un street, which connects the train station to the city center. Akhisar hosts a planned industrial zone on State Highway 565 running between Izmir and Istanbul, two important ports of Asia Minor, Akhisar Industrial Zone offers a number of amenities and impressive investment opportunities for domestic and foreign investors. Ancient Akhisar is almost wholly covered by the buildings and streets of the modern town. However, some ruins from ancient andmiddle ages can still be seen all over the town. It is very likely tostumble upon some ancient stonesor column heads in the older city. This is a man-made hill in the citycenter with some Hellenistic ruins. However, some pottery findings on this hill reveal theexistence of some primitive settlements dating back to 3,000 BCE. Archeologists assume thatthe hill once hosted the acropol of ancient Thyatira. The Byzantine and Turkish names ofthe city was probably derived from the white painted fortress on this hill. 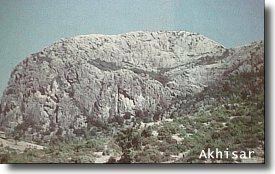 (Turkish name Akhisar,in Turkish: Ak = white + hisar = fortress or, Byzantine name Asprokastro, in Greek Aspro = white + kastro = fortress or castle ).This small hill has been hosting the State Hospital since World War II. 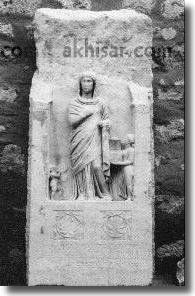 Today, aHellenistic tablet and sarcophagus can be seen in the Hospital yard. Some ruins of an ancient building complexand a collonaded road can be seen in "Tepemezari" area in downtown. The portico isestimated to have a length of 100m. (330 ft.). It possibly connects the entrance of thelarge ancient building complex to the city acropol. Tepemezari was subject to anarchaeological excavation during 1969-1971 CE. These excavations revealed the walls of arectangular Roman building along North-South direction with dimensions of about 40 m. by10 m. (140 ft. by 30 ft.). Considering that the money was invented by Lydians in 7thcentury BCE, one can assume that Thyatira, as one of the most important centers in the Northancient Lydia, was probably one of the towns where money wasfirst used. Towards 200 BCE, important trade centers had started printing their own coins. Oldest Thyatira coin is made of bronze and belongs to times whenPergamum Rule was prevalent. Coins printed in Thyatira usually display the figures of Apollo and Artemis on one side and double sided axe on the other side. During 50s CE, Thyatira printed coins bearing figures of Roman emperors, local governors and city administrators.Roman coins also revealed some sports activities and festivals in Thyatira, which could mean that the modern day Caglak Festival of Akhisar is actually an ancient one. Some coin findings indicate that there was once an economical alliance between Thyatira, Smyrna (Izmir) and Pergamon (Bergama). Sahin Kaya or Plateia Petra in Greek, is a big, high rock inthe Eastern county territory. It hosts some ancient and middle age ruins. This big mass ofrock has a very strategic location controlling Akhisar and Pergamum plains, a large partof Lydian territories. The location and the existence of a fortress indicate that the settlement was adefensive sentinel station. Access to Plateia Petra is possible by atough walk of 3,050steps ancient stairway carved in the rock. The man-made tombs along modern Akhisar- Golmarmara road areancient Lydian graves. These tombs usually have one single graveroom. Similar tombs can also be seen near modern villages of Beyoba, Mecidiye, Suleymanli and Eroglu. There are also some Lydian and Frigian graves carved in rock. This ancient building was transformed to a mosque in 1400's. The year of construction is unknown but it is evident that the building was formerly a Roman temple and a Byzantine church. There is even a possibility for the building to be one of the famous Seven Churches of Christianity. Aynali Mosque was almost reconstructed in1958 due to excessive wear. 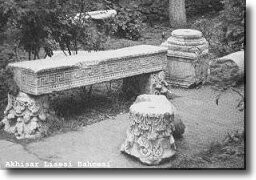 Some ancient columns and building blocks found in the gardensuggests that there was a large building of ancient Thyateira in the area. Mosque yardalso hosts the finest samples of the Turkish art of stone carving. The library was constructed in 1798 CE byZeynelzade, a prominent Akhisar family. The building is located in Hashoca ward,close to Hashoca Mosque. According to records of 1805 CE, there were 923 volumes ofmanuscripts. A modern library with the same name was contructed in 20th centuryat another part of the city, serving students and researchers of Akhisar. 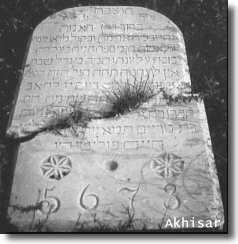 Next to the Resat Bey Cemetery, there is a Jewish Graveyard of about 673 sq. meters (7200 sq. feet). Gravestones with Hebrew carvingscan be seen. The historical synagogue is right behind the modern Turkish Telecom building. Unfortunately, not much remained except its old gate. TheSchool of Agriculture built by Jewish in Kayalioglu town is still in good shape. 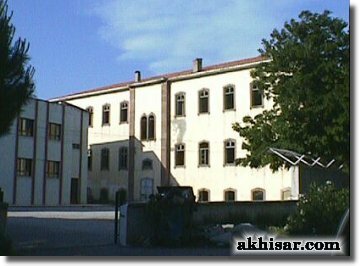 Thebuilding was built in the beginning of 20th century CE by the Jewish community of Akhisar. The 3-story building has recently been abandoned. There are orchards and various trees surrounding the building, onceused in practical studies. The basement of the building served as a winery. The buildingand yard occupies an area of about 2 acres. Other small buildings accompany the old schoolbuilding. Karaosmanoglu dynasty, once had a strong effect on Saruhan rulers, built a mosque and a palace in Zeytinliova town. The mosque and the palace have best examples of wood carving and ceiling embellishment.